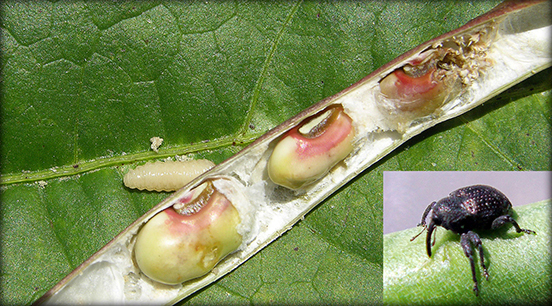 Wilcox County Ag | Beans Blooming: What Insects to Scout? Our oldest beans in the county are blooming and we discussed insects we need to scout and potential nutrients. Lima and snap beans are pretty much the same with insects at bloom. We just scout for caterpillars, stink bugs and thrips. For thrips, check blooms now. If we have 2 or 3 in a bloom, it’s nothing to worry. If we have 10 or more in a bloom, we need to knock them back. I’m seeing thrips in young beans still. As far as I know, nothing has changed for controlling the weevils. We still only have pyrethroids labeled for control. The first spray should be initiated at first bloom and sprayed on a short interval (probably every 3 days or so). Also, the last time I talked to Dr. Riley, Karate seemed to work better than the other pyrethroids. If the curculio population is high enough they can knock blooms off so be on the lookout for that. He will probably need to stager his plantings and not put all his eggs in one basket. -Planting an early strip of peas to spray before his main crop to target the overwintering weevils. 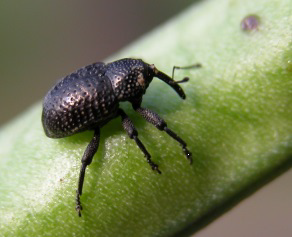 The overwinter weevils will not live long after they lay their eggs. -If you plant peas to bloom at the end of June, that would be best because the adult population has crashed by then, and whatever weevils there should be the new larvae going through pupation in the ground. For us in Wilcox, the resistance may not be as prominent here as in Tifton. If that is the case, we may can kill them. Dr. Sparks basically says we can spend as much money as we want or not in trying to kill them. We use boron foliar sprays to help plants with flowering and pollination so many questions asked here. 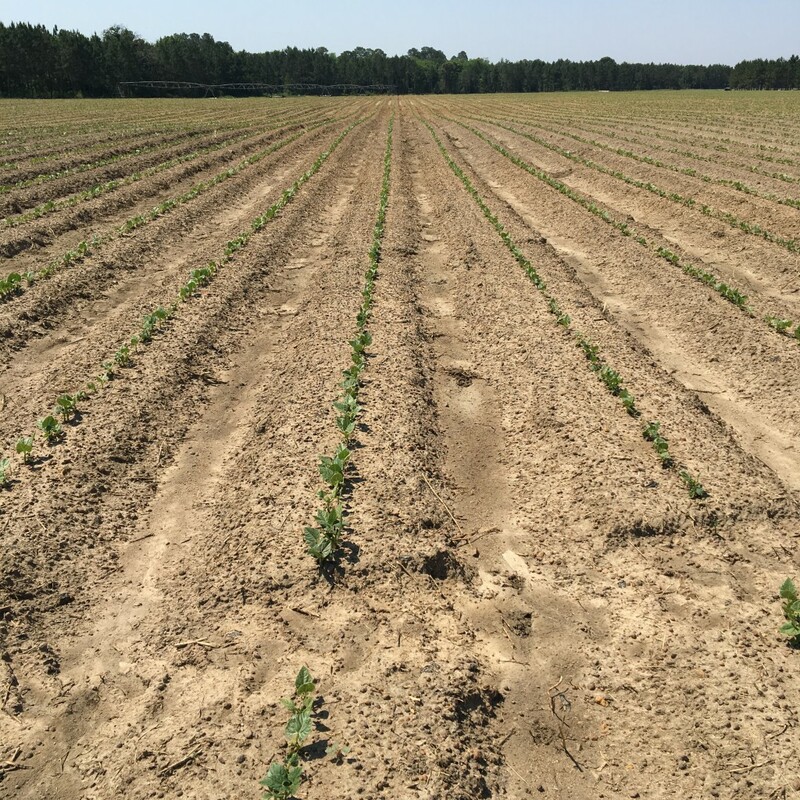 I talked with UGA Extension Vegetable Agronomist Dr. Tim Coolong to help us out and he reminded growers and especially new bean growers to remember that beans are self pollinated and the pollination window is very short. If we do not have good weather during pollination, we can see significant yield loss. So, applying boron at flowering may not make a huge difference in yield if our pollination conditions are not great. With that being said, there is data to show that boron helps with pollination. However it is mostly on farm and virtually none in the field. And there’s just too many variables to ask the light during pollination. What if I’m already going over the field with an insecticide? If we are already going up at the field, it would not hurt at all to put out some boron. If we are not going over the field, it really doesn’t matter if we do it alone. If we got cotton or peanuts to plant it is not worth the trip. Posted in Beans, Fertility, Insect. Bookmark the permalink.